Officers with the Massachusetts State Police (MSP) are looking into a single-car accident in Cambridge that killed a male driver. According to the Boston Herald, the accident happened just after 11:00 p.m. along Concord Turnpike when he veered off the road, slammed through a fence and ran into a building. Firefighters arrived on scene and worked to free the male drive, who was trapped inside the damaged vehicle. Witnesses suspect that it was the snow on the road that contributed to his accident. The accident is currently under investigation by troopers with the State Police Collision Analysis Reconstruction Section and Crime Scene Services. Our Cambridge car accident lawyers understand that it’s a dangerous time to be on our roadways, not only because of the wintery weather, but also because of the holiday traffic. It’s critical that drivers are on their best behavior behind the wheel to help to prevent what could turn out to be a fatal accident. 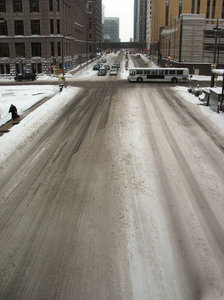 Based on news media reports, there were at least 475 roadway fatalities as a result of icy roads in the U.S. throughout the 2008-2009 winter season, and at least 458 happened during the 2009-2010 winter season, according to IcyRoadSafety.com. Unfortunately, this may be a full accounting of the risks as many of the wintery fatal accidents go unreported among media outlets every day. Did you know that over 70 percent of the country’s roads are located in snowy regions, which average more than five inches of snowfall each year, according to the Federal Highway Administration (FHWA). Nearly 70 percent of the U.S. population lives in these snowy regions. Fatal crashes are close to 14 percent more likely to happen on the first snowy day of the season compared with subsequent ones. Researchers and statisticians found that 24% of all crashes occur during adverse weather conditions, including ice, snow, and rain. Research showed that most drivers do not account for adverse conditions created by rainy weather. It’s important that you know how to drive your vehicle when the roads are covered in white powdery fluff. One of the most important things you can do when driving in wintery weather is to slow down. A car going too fast may not have enough time to stop on an icy road surface, causing an accident resulting in serious injuries or even death. -Clear the snow from all of the windows and light on your vehicle before moving. -Increase your following distance behind other vehicles and allow plenty of extra room to stop. -Stay on top of the current road conditions. Call 511 from your cell phone to get the latest Massachusetts information. -Be careful on your brakes. Brake early. -Remember that bridges and intersections are the first to freeze. -Don’t use the “cruise control” option driving in wintry conditions. Even roads that appear clear can have sudden slippery spots and the slightest touch of your brakes to deactivate the cruise control can cause you to lose control of your vehicle.